Now that you are saying goodbye to winter and welcoming spring, your lawn care is an aspect you must keep in mind. 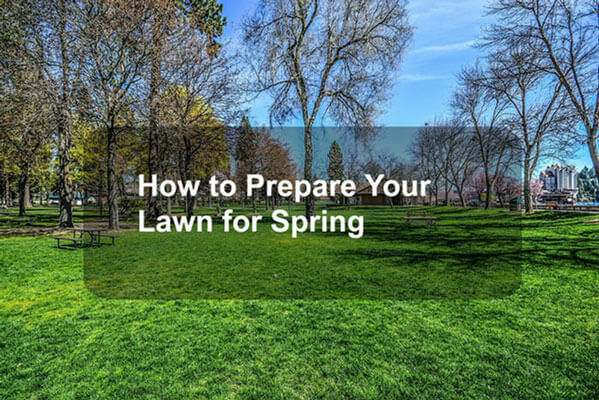 Without preparing your lawn for spring, you could suffer serious losses. weeds, and stressed by hot temperatures or drought could overtake your lawn totally damaging the exterior décor of your home. The good news is that you can avoid all these problems and maintain a healthy, vibrant and serene lawn by following a few easy tips. The first thing to do when the frost has succumbed to puddle hood is to go out to your garden and inspect the damage winter frost has done on your lawn. Pay attention to fallen branches, dead leaves as well as other debris. Clear them away to allow you to carry out a general inspection of your lawn, soil, trees, shrubs as well as other garden structures. Check the grass type that comes back or has died altogether. Get rid of fallen tree limbs. In case they are lying on the ground dangerously, avoid taking unnecessary risks by contacting an arborist. If you do this correctly, you will have a head start on the plan of action to adopt. You know what animals do during winter; they tend to hunker down due to the dark, cold winter days. Your grass is not an exception. You will need to wake them up to jump-start them for the spring. As soon as you notice the snow fading, take your garden rake and vigorously rake your grass in order to wake them up and put them on the path of growth. Pay attention to areas of dead, dried grass that is often thick and deep. Ensure you remove them completely. Such thatch will keep sunlight and oxygen from the plants and grass underneath. Furthermore, the thatch may form a nidus for the growth of fungus and mold. 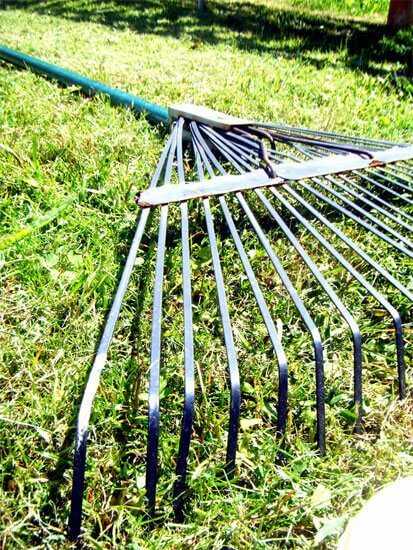 If you encounter a snow mold (a gray or pinkish web over matted grass blades), just rake i﻿﻿t out gently and let it dry. Weeds are terrible at interfering with even an excellently maintained lawn. One of the most important lawn preparations for spring is weeding. The most notorious weed on most lawns is crabgrass. It can be terrible and difficult to control without using the right technique. The best way to control it is to remove it at their time. You will do well by removing them before they get the chance to germinate. Remember crabgrass begins to grow when soil temperatures hit 55 degrees. It important that you use pre-emergent crabgrass control before the soil achieves this temperature reading. Crabgrass is not the only weed you need to be concern about. Carry out thorough weeding and remove anything you consider a weed before spring begins. Just before spring begins and after doing the above things, apply a suitable lawn fertilizer. You can go for an organic fertilizer because they are very and potent. A good advice is to combine the fertilizer with the above-discussed pre emergent and herbicide. Most lawn-care brands tend to offer this combination in order to make lawn management easy and reduce the cost. Where necessary, you should trim shrubs and trees just before spring. Dead tree branches and shrubs around your garden may interfere with the growth of your lawn. It requires some skill to do the trimming. If you are not sure you can do it well then employ the services of a professional. If you have flowering shrubs, tarry until the shrubs start to flower then do the trimming to prevent destroying limbs and branches that would produce fruits or flowers. During the long, cold and dark days of winter, elements might have damaged garden furniture and other elements such as lighting, irrigation systems. Remember to fix any broken patio furniture as well as other structures made of wood. Take time to tune-up your string trimmer and lawn mower. Clean, sharpen and then oil your shears to make ready them when the temperatures have improved enough for mowing, trimming and pruning to be done. If you follow the above tips, chances are that you will have a nice, healthy and admirable in spring. Preparing your yard will take you more than a weekend but it will save you from spending too much money in lawn management by hiring a professional. If you were not certain that you could do it, then I would recommend that you hire the services of a professional landscaper.